Swashbuckling RPG adventure Pixel Piracy is now available on consoles - Use a Potion! 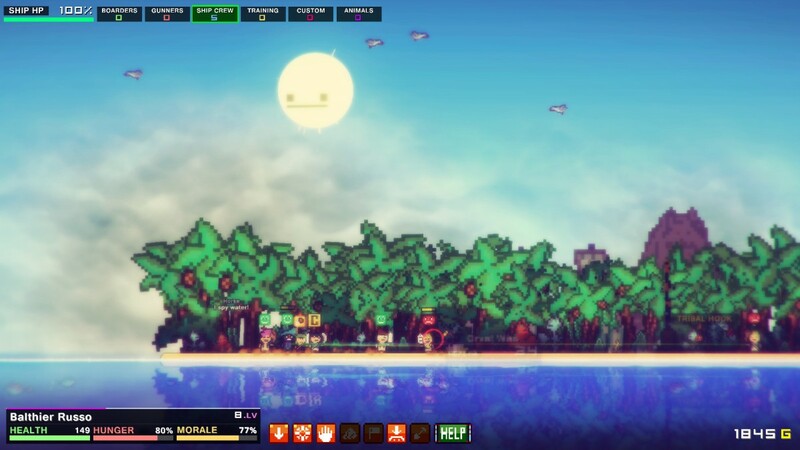 “Players lead the life of a pirate captain in this fun, swashbuckling RPG adventure game developed by Quadro Delta and presented by Re-Logic, the creators of Indie classic, Terraria. Recruit a crew, outfit and customize your ship – then set sail on the open seas! Use any combination of aggression and trade to become the most infamous pirate crew around! Raid, pillage and plunder everything in your path, get what you want or trade for a quick buck. But be aware, danger and the chance of death is everywhere! – Hire Your Own Crew – Carefully choose the best sailors and swashbucklers you can afford. Equip them with weapons, armor and special items. Upgrade and specialize as they level up, increasing their stats and teaching them new skills. – Build Your Own Ship – Customize and upgrade your ship as you see fit. Utilize masts and sails for extra speed, weapons for combat, entertainment and food, training gear and decorations. – Randomly Generated Open World – The game plays differently every time– a vast over-world map full of danger, loot, and people to prey on awaits you! – Pirate RPG Management System – A comprehensive loot system that offers upgrade-able weapons and special & secret loot to deck out your sailors. 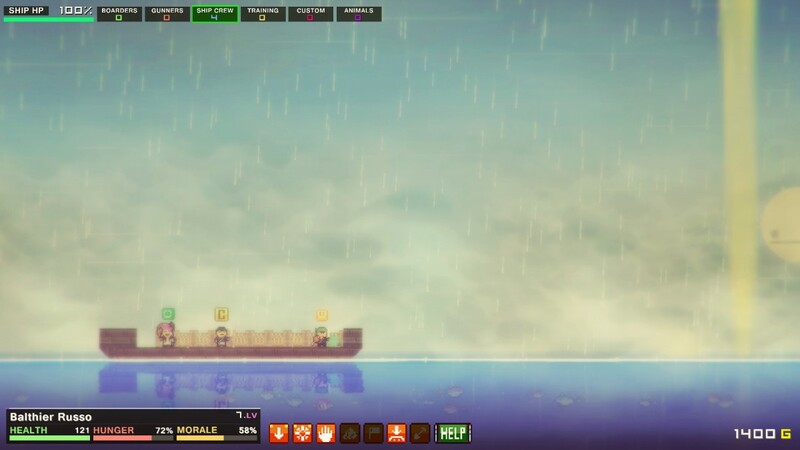 – Fully integrated weather system and a ton of new weapons, items, skills, and bounties. – Also contains all new crew user interface, captain behavior, and character customization. Pixel Piracy is available from today on Playstation 4 and Xbox One – it’s also available for PC gamers on Steam through this link.